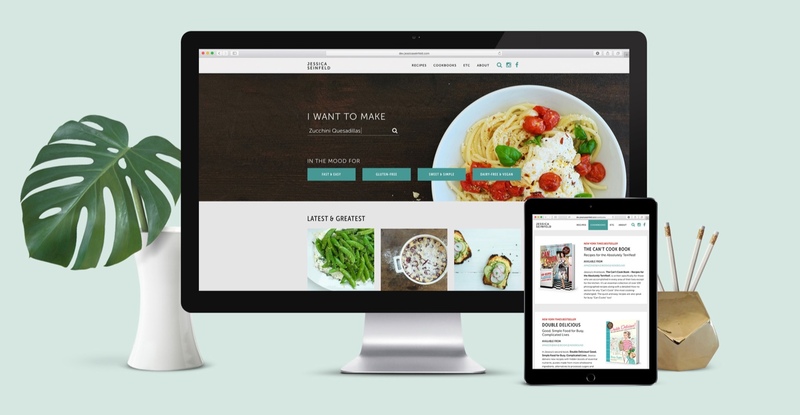 Jessica Seinfeld | Look North Inc.
A fresh new brand and website for a passionate cook and mother of three. Jessica Seinfeld is the author of three New York Times bestselling cookbooks and the President and Founder of Good+ Foundation, a non-profit organization that partners with a national network of leading programs to break the cycle of family poverty through the power of donated goods and services. She lives in New York City with her husband, three children, two dogs and two cats. We worked closely with Jessica to plan a site that helps folks eat healthy and delicious meals. And we’ve made a bunch of these fantastic recipes ourselves - they’re legit for sure (our favorite is the Carne Asada Tacos!). We created an identity and experience that complemented Jessica’s personal style. We worked with Jessica and her team to plan a site that was easy to use for people on the go. By featuring seasonal recipes and step-by-step instructions visitors are able to plan and make delicious, healthy meals. The recipes are organized by category and ingredients which makes browsing fast and convenient. Thank you to my amazing team who killed it with this new website. I’m so thankful to each of you. Craving something with salmon? No problem. The site contains hundres of delicious recipes for breakfast, lunch, dinner and everything inbetween. But what makes the experience great is how easy it is to search and find just what you're looking for. And, if you're simply not sure, the site can suggest something that will be perfect for any occasion - a quick snack or a delicious entré. Are you on your way home from work and not sure what to make for dinner? Maybe you're searching for inspiration while food shopping? If so, no problem. With a fancy responsive design the website works great no matter which device you might be using. Photos & videos make putting together a great meal as easy as 1-2-3. Whether you're a seasoned chef or newbie in the kitchen, easy-to-follow instructions will have you feeling like a chef de cuisine in no time. A nice looking site if we say so ourselves. This understated design lets the recipes really shine (dont' they look delicious!?). The neutral color complements the photography and the type is easy-to-read at almost any size.